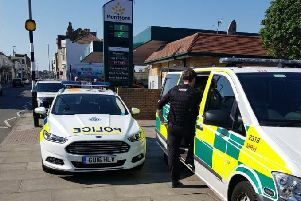 Sussex Police says it is to begin deploying volunteer special constables to assist with a new operation in Hastings and Rother. The new drive, known as Operation Hustle, will see the specials join neighbourhood response and prevention teams as they execute warrants and search for wanted people. They will also take part in work to check on people thought to be vulnerable to 'cuckooing' by drug dealers. District Commander Chief Inspector Steve Curry said: "Special constables are a highly valued resource and this operation will utilise their enthusiasm and commitment to reduce pressure on regular response officers, allowing them to concentrate on incoming emergency calls. In turn it should also mean a reduction in the number of wanted people within Hastings and Rother." Anyone with information about crimes or criminals in the district is asked to contact police online or phone 101 with as much detail as possible. Alternatively, please visit the Crimestoppers website or contact the independent charity anonymously on 0800 555 111.